In a special ceremony today, the Smithsonian’s National Museum of American History accepted a donation of more than 50 artifacts from Mad Men including costumes, props, sketches and a script as well as Creator Matthew Weiner’s personal notes from the AMC drama produced by Lionsgate. 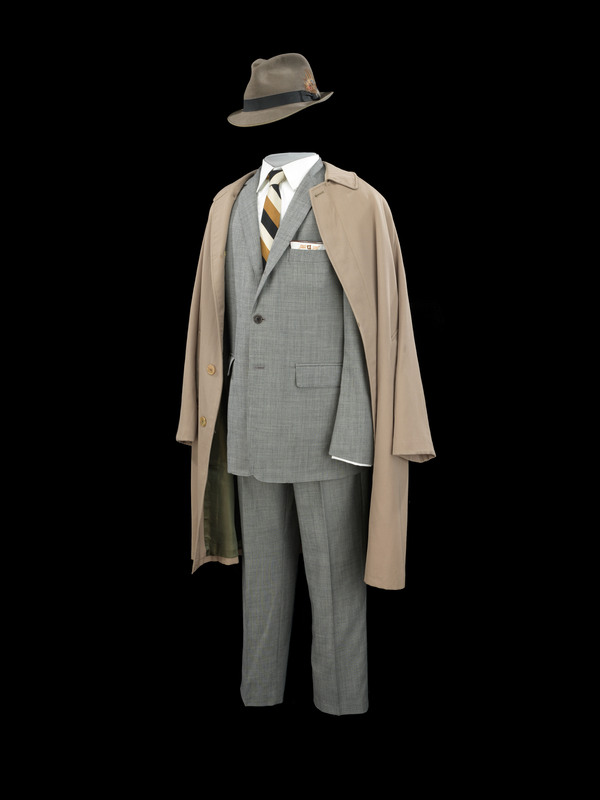 The objects include early 1960s-styled clothing and props from two of the show’s principal characters, Don Draper and Betty Francis, including Don’s charcoal gray suit and Cordova fedora and Betty’s yellow house dress. 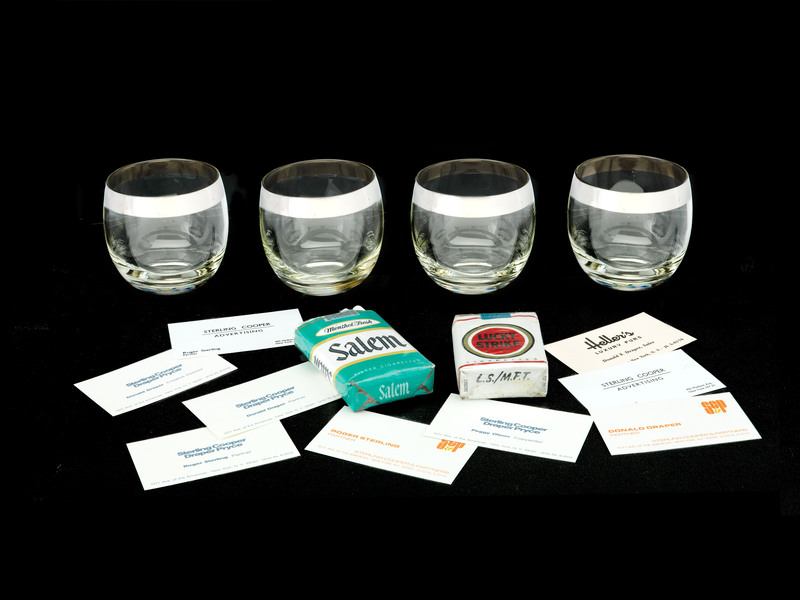 Weiner and the cast donated the Mad Men objects against the backdrop of actual advertising history as the museum prepares to open “American Enterprise,” its exhibition on business that explores branding and its role in engaging consumers, beginning July 1. Mad Men artifacts that represent the U.S. at the mid-20th century mirror actual objects from advertising professionals and agencies featured in “American Enterprise” and tie in to the exhibition’s depiction of the “creative revolution” of the 1950s and ’60s, which shaped the advertising industry. “The Mad Men objects allow the documentation not only of a compelling television series that effectively depicts the many ways fictional television can mirror and offer commentary on a pivotal historical era of political and social change,” said Entertainment Curator Dwight Blocker Bowers. Mad Men (2007–2015) follows the professional and personal lives of Madison Avenue advertising men and women during the ’60s. Documenting social changes in America through its fictional characters, the show received widespread critical acclaim for its historical authenticity in dialogue, costume and design. The series has won multiple awards, including four Golden Globes and 15 Emmys; it was the first basic-cable show to win the Emmy Award for Outstanding Drama Series, and the only cable drama to receive that honor for four consecutive years. Among the objects are two early ’60s-styled costumes designed by Janie Bryant for the show’s principal characters Don and Betty Draper, a selection of props and files of creator, writer, executive producer Weiner. Don Draper’s costume consists of a gray three-button suit, a white French-cuff shirt with gold-tone and black-enamel cufflinks, a fedora hat, striped tie, black shoes and a camel-colored trench coat, and the associated props are an empty package of Lucky Strike cigarettes, a wristwatch, a gold-tone lighter, a black wallet, business cards and two pairs of aviator sunglasses. 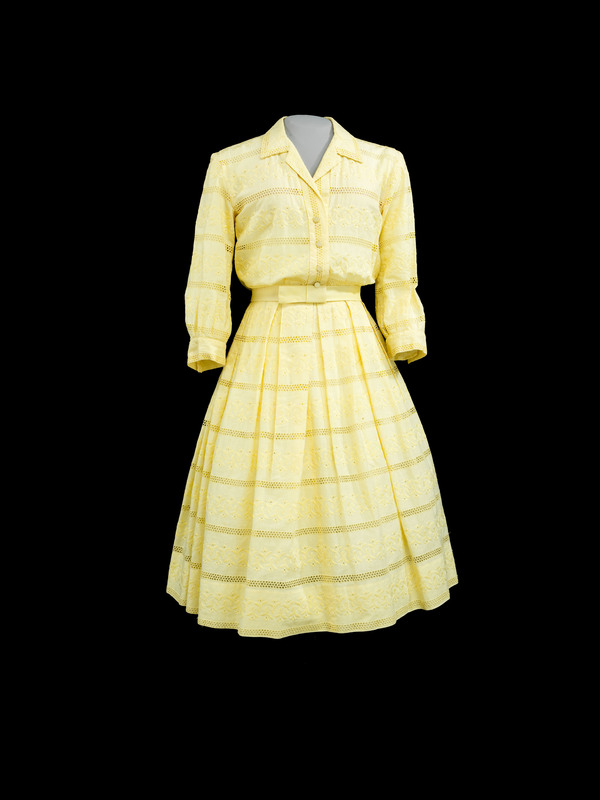 Betty Draper’s costume is a yellow shirtwaist dress, with period undergarments (brassiere, crinoline) and brown pumps, and the associated props include an empty package of Salem cigarettes, a silver-tone bracelet wristwatch, a green clutch purse, a gray-framed pair of sunglasses and a red-leather cigarette case. Advertising during this time period targeted women homemakers and office workers as they were the primary consumers for families. “American Enterprise” looks at such advertising, including a Hotpoint refrigerator and its sales literature (1959–1961) that turned the home appliance into a veritable cornucopia of fresh and frozen food. The Mad Men objects join those in the museum’s collections from other TV series, including The Wonder Years, M*A*S*H, All in the Family and Seinfeld, that use narratives set in the past to chronicle and comment on American society. The costumes complement the everyday wear of the ’60s in the museum’s costume collections. There are no immediate plans for display of the Mad Men artifacts. Through incomparable collections, rigorous research and dynamic public outreach, the National Museum of American History explores the infinite richness and complexity of American history. The museum helps people understand the past in order to make sense of the present and shape a more humane future. The museum will open its first-floor innovation wing July 1 with exhibitions, learning places and program spaces all centered around the theme. For more information, visit https://americanhistory.si.edu. The museum is located at 14th Street and Constitution Avenue N.W. and is open daily from 10 a.m. to 5:30 p.m. (closed Dec. 25). Admission is free.